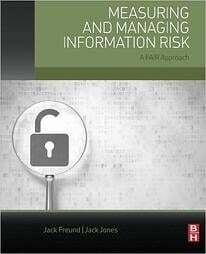 So I'm constantly thinking about the skills and areas of focus that will not only help me, but also my clients get better at our chosen profession, quantitative cyber risk analysis. Over the years, that focus has spanned from the importance of scoping an analysis, identifying what to shoot for when gathering data, and breaking down things to consider when presenting results. As I’ve gained experience, and shifted roles, not only conducting analysis, but also helping organizations design and develop quantitative cyber risk programs, the skillsets I’ve needed to refine have changed as well. With this new perspective, I wanted to share two areas of focus that I’ve tried to get better at every day. It’s been my experience that most risk analysts like the idea of seeing their risks in dollars and cents. They understand that it could gain them tremendous credibility among their constituents in their other lines of business, as well as provide a level of clarity for decision making that their previous approach just could not provide. Examples of compelling reasons to analyze risk quantitatively might include: the inability to confidently identify top risks; the inability to measure and clearly communicate the cost/benefit proposition of cyber risk management efforts; difficulty communicating about risk with executive stakeholders; unproductive religious debates about whether something represents high/medium/low risk. As an analyst at heart, something I’ve tried progressively to get better at is gaining a greater understanding of the steps that lead to the loss. Some organizations would call this an attack chain – ultimately for me, I’d just like to know how the event starts and ends in loss. What assumptions we’re working from and what the group does and does not know. Who else do we need to involve in our analysis. What SMEs, or external data points do we need to reference? How do we map this analysis to FAIR? Not only what represents Contact Frequency and Threat Event Frequency, but where do we have the most reliable data points? I’ve found that having a clearer picture of this will reduce rework, follow ups and overall level of stress. 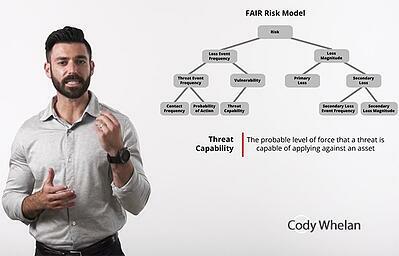 Get a complete education in cyber risk quantification from Cody Whelan and other experienced instructors in the FAIR online training course from RiskLens Academy. Read more by Cody.